Welcome to this week's Sizzle into Summer party. We got back from vacation this past weekend and I got a chance to go through the posts from the party. As usual, there was so much inspiration. 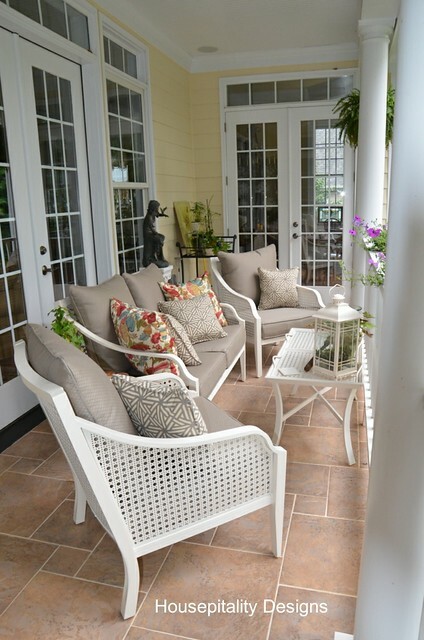 Housepitality Designs shared her gorgeous summer porch. It looks like the perfect place to sit back and relax. Comfortably Carried Away transformed a basic desk into this beauty. I love the chevron pattern. Simply Vintageous turned an unused table into this backgammon table. What a cool idea! 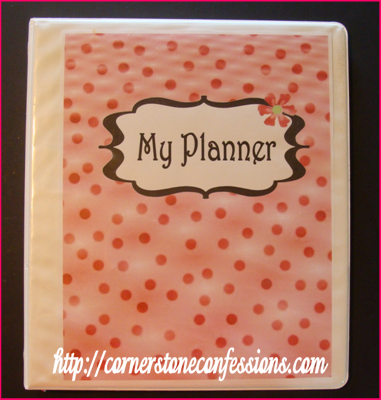 Cornerstone Confessions created a planner for both her blog and home. She has a free download available to subscribers and even shows you how to make your own tear-off pad. Now this is something I could use!! Tales of a Trophy Wife shared her recipe for Quinoa Salad. She made this to complete her goal of eating vegetarian for 30 days. Very impressive. If you were featured, please grab an "I've Been Featured" button (you can now find my buttons by clicking on the buttons tab right under my header). Now let's get started with this week's party. I can't wait to see what you have been up to. Link up anything you have been working on...home decor, sewing, crafts, organizing, baking, recipes etc. I will keep this link open through Friday. 1. Please become a follower (if you already follow me on Google, I would love for you to follow me on Linky Followers as well). 2. Please grab my party button above and display it either on your sidebar or somewhere in your post. This way word can spread about the party. The more people at the party, the more fun we will have. 3. Please enter the link to your actual post, not just a link to your main blog page. 4. Please visit others who have linked up. Everyone works hard on their projects and blogs...let's show each other some love by visiting each other. Let's have some fun and hopefully make a few new friends along the way. Judy, thanks so much for featuring my Summer Porch along with the other so creative features...Loved them all...Thanks so much for hosting! Have a wonderful week!! Hi Judy; thanks for hosting. Great features this week. I added a vintage egg crate today. Thank you so much for the feature Judy - I'm thrilled - especially amongst the ones you chose! Glad you had a great vacation - and thanks for hosting so soon after! Thanks for the party Judy - have a fabulous week! Nice blog with the photos But you are giving the less details about remodeling and we are giving the full details about the Home Remodeling in an affordable rates. Thanks for checking out my post, Judy. Also, for hosting every week! Thanks for hosting the party and for the great features! I am loving the table tops, and the chalk board! make it a great day, Judy!